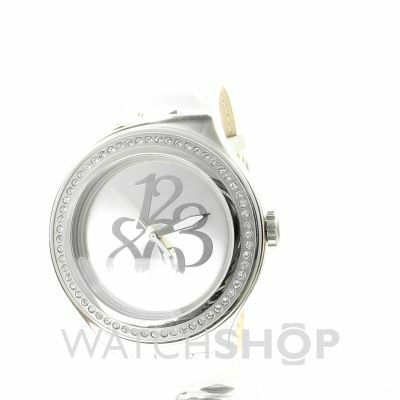 A stunning ladies watch , with large numer feature, crystal set bezel, and shimmery effect leather strap. Loved this watch. Received this watch as a gift. My other swatch had gone to the big watch maker in the sky and this was just the watch to replace it! It's just gorgeous!